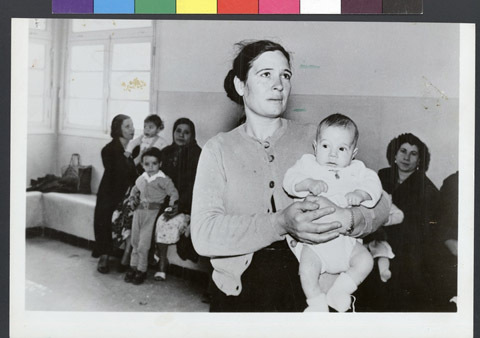 JDC - Archives : A woman holds her baby among other mothers and babies. Search > Search Results > A woman holds her baby among other mothers and babies. Title A woman holds her baby among other mothers and babies. Description Could be TUNIS see NY 9065.